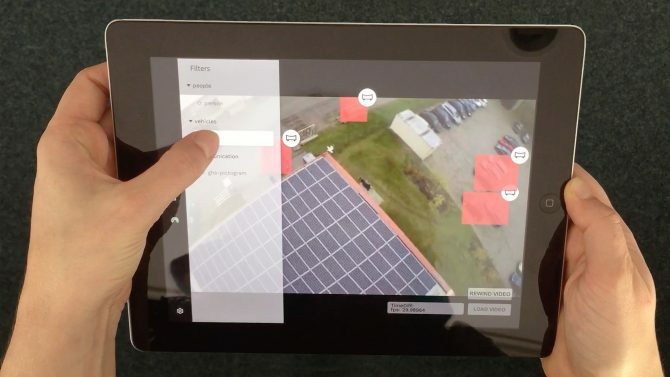 EffFeu – Efficient deployment of unmanned aerial vehicles for factory fire departments – is a research project by ART+COM Studios, DAI-Labor TU Berlin, and Gemtec GmbH. Drones could be deployed for maintenance services and in hazardous situations in the future. Hitherto, firemen assess critical situations primarily through vision and without any additional technical support. Such analysis can create an enormous psychological and emotional load. Hence, the EffFeu research project aims for the use of unmanned aerial vehicles (UAVs) in the daily work of industrial fire fighters. EffFeu focusses on the support of factory fire departments in the areas of mission planning and mission control, situation overview, assessment of dangerous spots and the examination of potentially hazardous infrastructure. ART+COM Studios has worked on the development, design and production of prototypical user interfaces. Our main area has been the visualisation of information (or data visualisation? 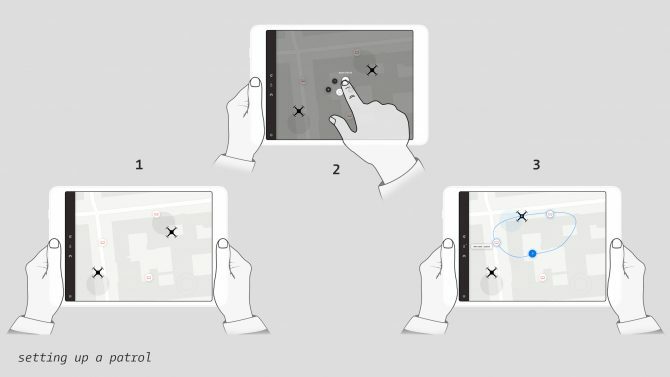 ), the development of a user-centered interaction design, as well as the application and testing of AR and VR technologies. The user interface that is currently in development uses a backend based on node.js for the front-end implementation and the incorporation of interfaces developed by the other partners. The two research partners contribute additional system modules. 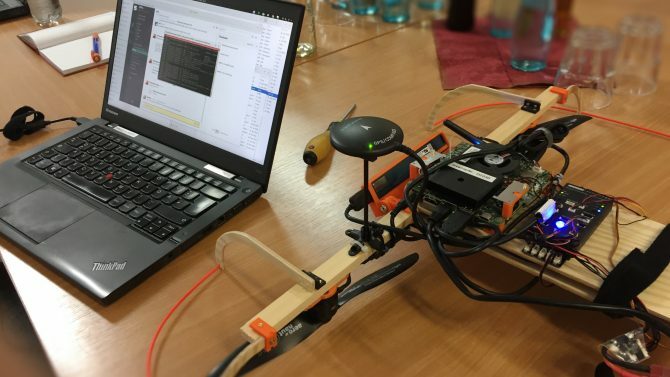 The subproject of the DAI-Lab (TU-Berlin) focuses on the intelligent, application- and mission-oriented control of aerial systems and the automated detection and localisation of objects which should help firemen to concentrate on the mission. GemTec GmbH supplies the necessary technical infrastructure for the control centres and fire detection. The camera image is augmented by virtual representations of firemen, vehicles, other objects and potential sources of danger. These can be visualised additionally ion the maps. These comprehensive overviews help the incident command and control center staff to choose the necessary measures in order to bring the dangerous situation under control. EffFeu is supported by the Federal Ministry of Education and Research, Die neue Hightech Strategie Innovation für Deutschland, and VDI Technologiezentrum. 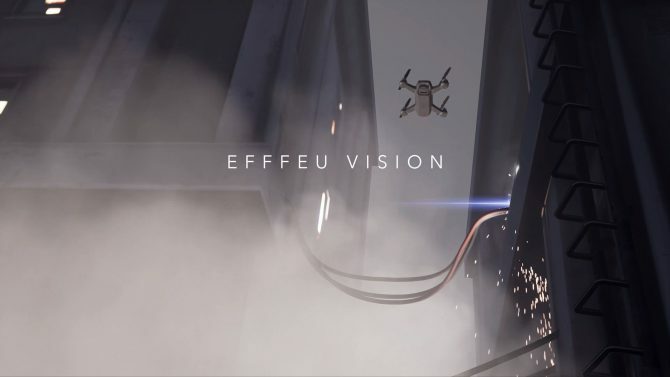 The EffFeu Vision film illustrates the vision of the EffFeu research project.